Steve joined Central Employment in 1999 & has been an integral part of the team ever since. More recently Steve has been involved in the direct management of our busy industrial department before recently joining the Central Employment board as a director. With a drive to succeed he surpasses client’s expectations. Steve has excellent interpersonal skills and the ability to connect with people at all levels which has enabled him to build relationships with companies he has dealt with for over 15 years. Steve has recently added the addition of a bespoke training division to our recruitment portfolio to further strengthen our brand name. 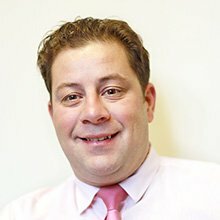 Steve’s time is spent establishing and maintaining effective formal and informal links with our major clients, relevant government departments and agencies, local authorities & key decision-makers to exchange information and views ensuring that the company is providing the appropriate range and quality of services. Steve loves spending time with his young family, playing football, skiing, socialising & holidays.